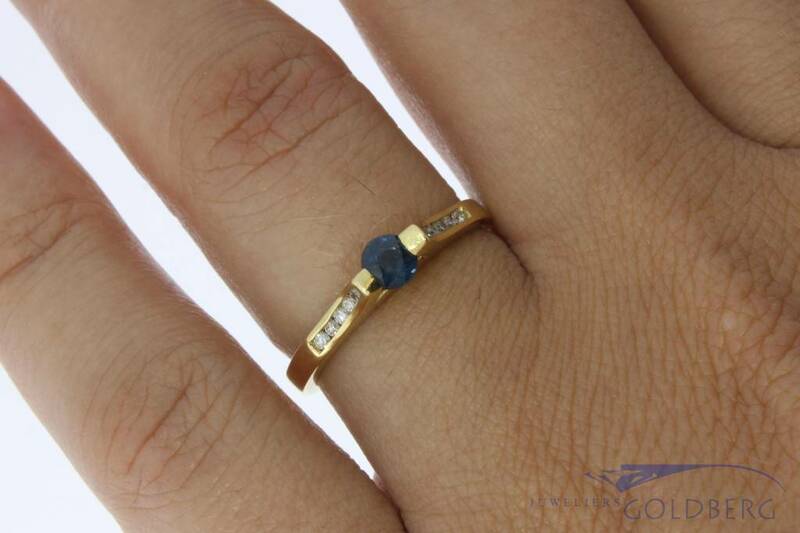 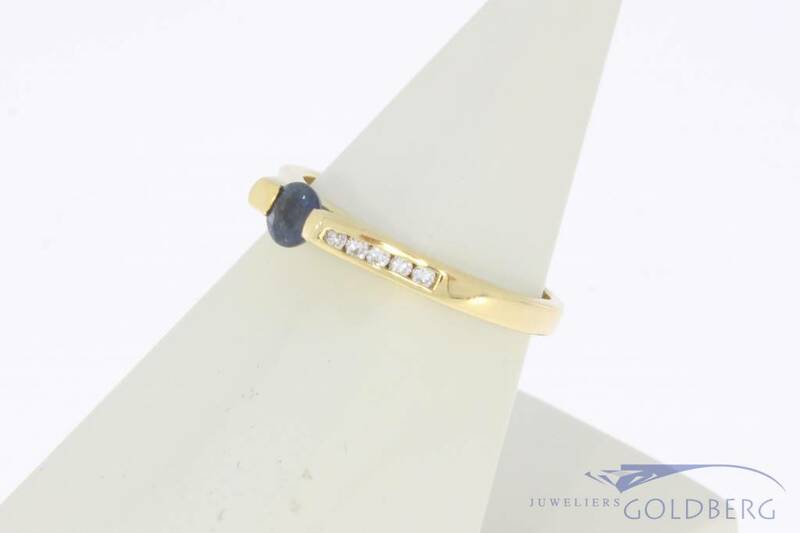 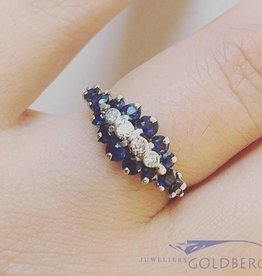 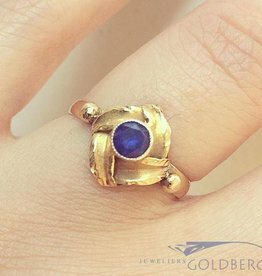 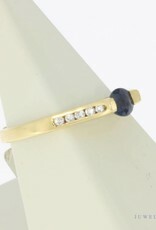 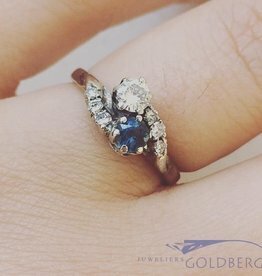 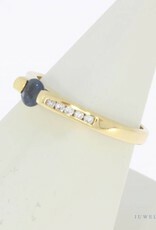 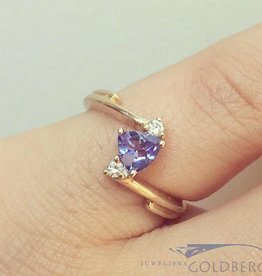 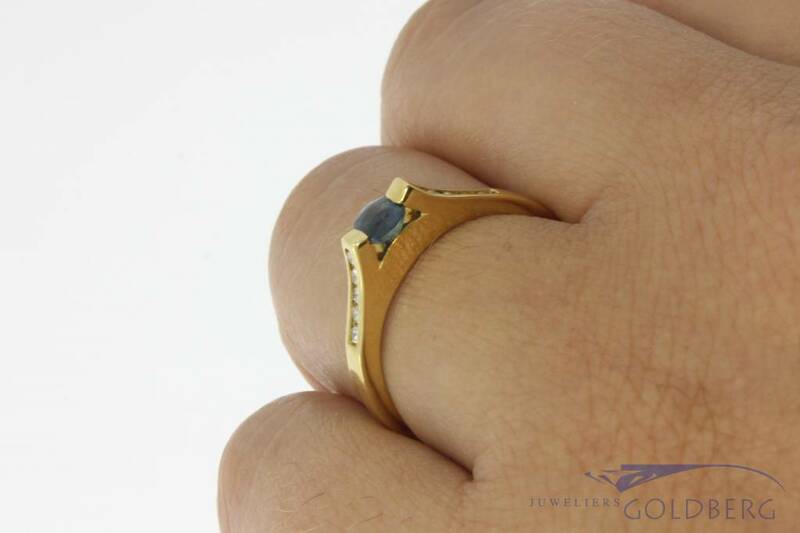 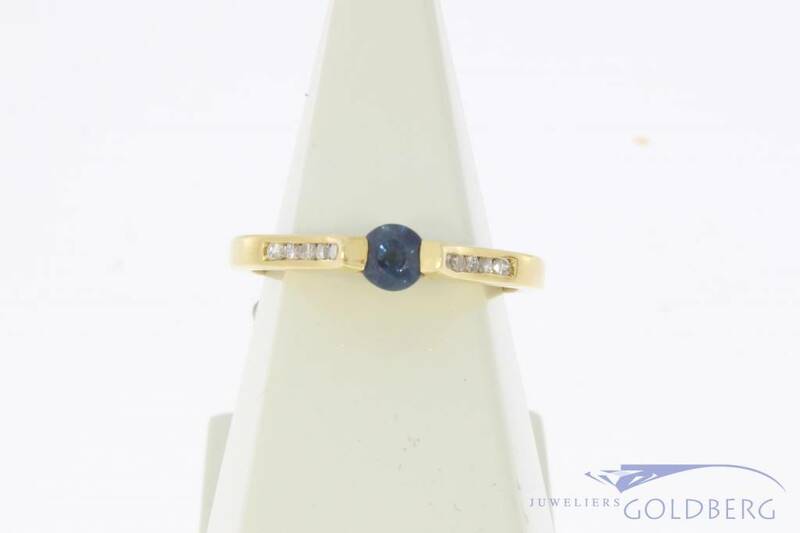 Beautiful, special and elegant vintage 18 carat gold ring with blue sapphire and a total of approx. 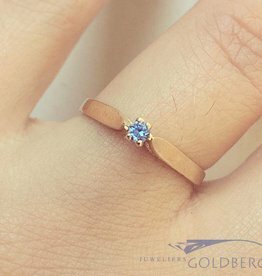 0.14ct brilliant cut diamond. 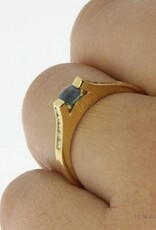 The piece of jewelry is inlaid with 10 approx. 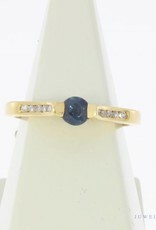 0.014ct diamonds and 1 blue sapphire. 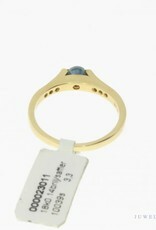 The width of the ring is approx. 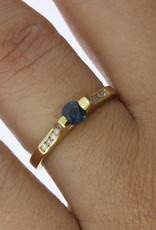 4.17 mm and the height of the ring (including the sapphire) is approx. 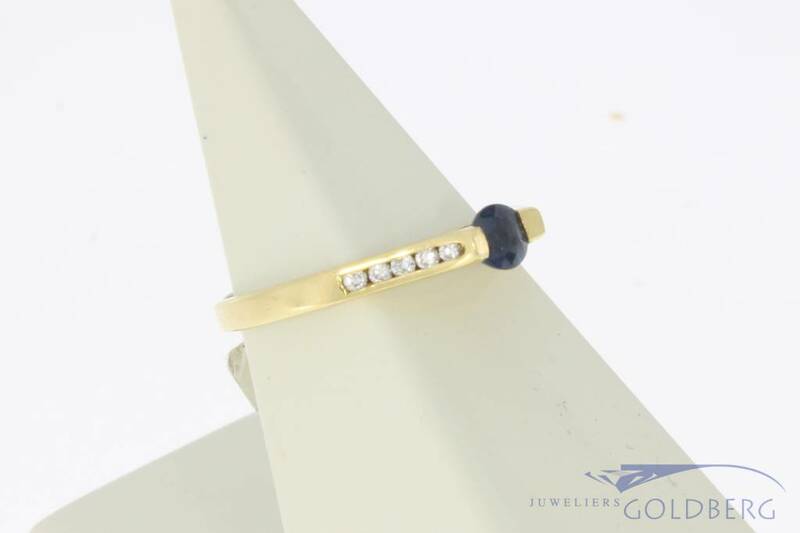 5 mm. 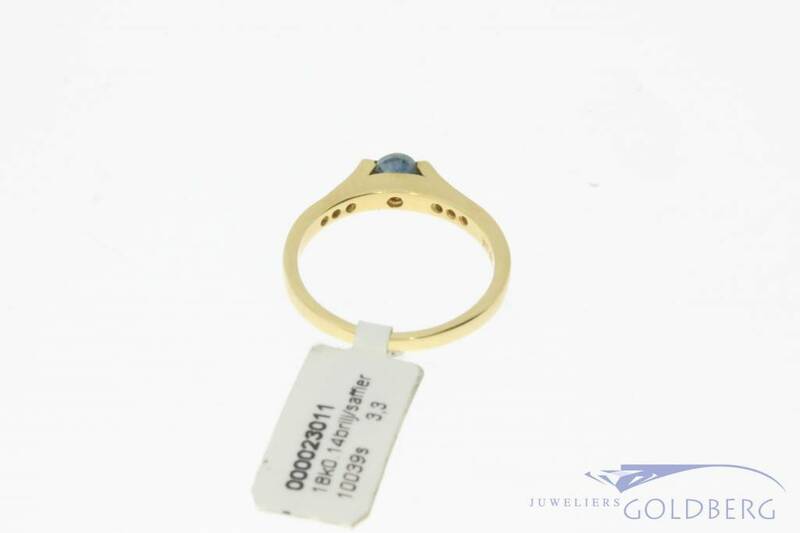 The ring size 56 / 17.75 and the weight is 3.3 grams.